Welcome to our site and thank you for stopping by. Welcome to Murr’s where you will receive quality service. Ian & Diane Murr have been in operation since March 2003. Our business was in the country area of Karrabin, we have now moved to 274 South Station Road, Raceview QLD 4305. ​Our friendly staff are here to help with all your queries about ceramics and if we don't know we will find out for you. Our studio has plenty of room with tea and coffee and biscuits which is included in your class fee of $10.00. Firings, Paints, Ceramic Pieces extra to class fee . Each time you attend and pay a class fee, you are entered in a draw for the next month classes for free. That means you can come as many times as you like, in that month for free. 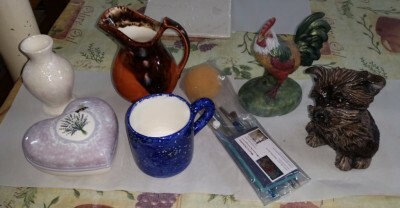 Includes 4 pieces of Greenware, Firing, Paints, Tuition and Brush/Tool Kit. 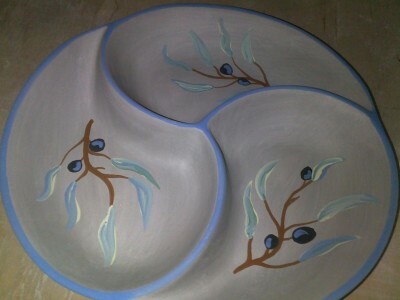 We supply to wholesale and retail customers Greenware (Earthenware Clay) and Bisqueware. We provide tuition, and sales of Paints and Glazes (Duncan, Mayco), Tools and accessories. Firing and Air Brushing Facilities available. We have our own studio where we provide tuition, and on display is our Greenware and Bisqueware, paints, glazes and tools and other ceramic accessories. Hi folks, 2018 was the last year that Murr's Ceramics will sponsor the Ceramic section at the Ipswich show. I would like to thank the Ipswich Show Society for all their help and support over the years and to all the entrants who show cased their talents over the many years. Thank you to all, we wish you all the best for the future.